What are records and archives? Why study Australian library history? How do we structure history? What library history has been published? 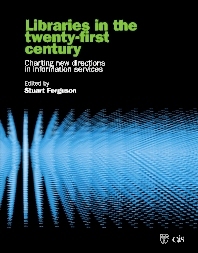 Libraries in the Twenty-First Century brings together library educators and practitioners to provide a scholarly yet accessible overview of library and information management and the challenges that the twenty-first century offers the information profession. The papers in this collection illustrate the changing nature of the library as it evolves into its twenty-first century manifestation. The national libraries of Australia and New Zealand, for instance, have harnessed information and communication technologies to create institutions that are far more national, even democratic, in terms of delivery of service and sheer presence than their print-based predecessors. Aimed at practitioners and students alike, this publication covers specific types of library and information agencies, discusses specific aspects of library and information management and places developments in library and information services in a number of broad contexts: socio-economic, ethico-legal, historical and educational.